Giant + Mini Spaghetti and Meatballs! Hey guys! Happy December 1st! I wanted to kick off the best month of the year with a classic recipe that everyone loves. Actually, I think this is one of the most classic cozy meals there is. 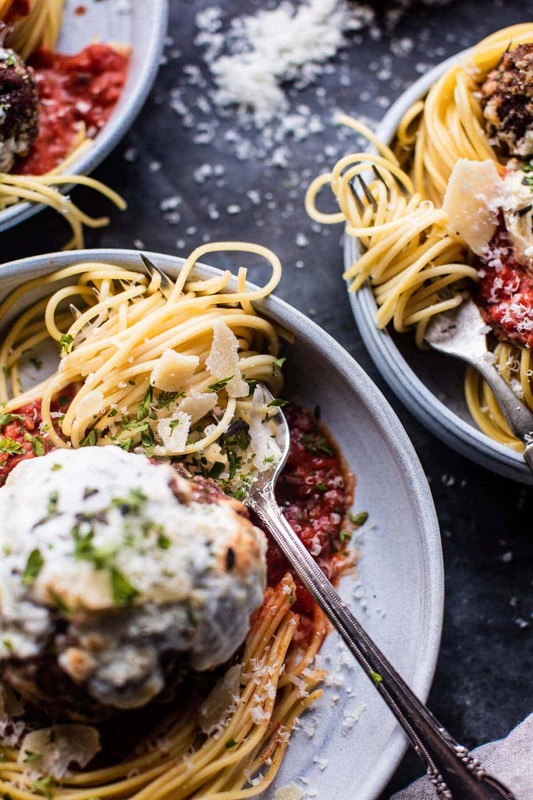 Who doesn’t love a plate of spaghetti and meatballs? It’s the perfect any night family meal. It’s also possibly one of my brother Creighton’s favorite dinners. 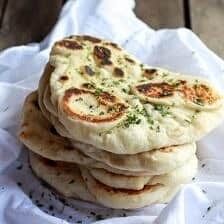 This is another one of those recipes that I always make around Christmas time when my family is town. It’s simple, quick, and can be easily doubled or tripled to feed a crowd. Plus, everyone seems to truly love the meal. I think there’s something about the combo of pasta, red sauce, meat and cheese. It gets people every time. Today I’ve partnered with Disney for the release of The BFG on Blu-ray, Digital HD & Disney Movies Anywhere. If you guys have seen or heard anything about this movie, than you may know that it’s about a young girl named Sophie who befriends a big friendly giant! 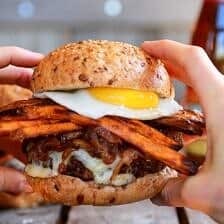 I don’t want to give away all the details because this is such a fun movie watch, but this recipe was inspired by the Big Friendly Giant’s giant appetite, and Sophie’s mini appetite. Fun right? I took my everyday meatball recipe and created one GIANT meatball. Then I surrounded it with a bunch of mini meatballs, which actually makes for a cute presentation. Give your favorite family giant the exclusive meatball, and divi up the minis for us smaller eaters. Oh, and the minis work equally great as holiday appetizers for your next party! When I told my little sister, Asher what I was working on, she insisted that we watch the movie while decorating the Christmas tree and eating our bowls of spaghetti and meatballs…or in her case giant bowl…little backwards there. It ended up being perfect because while this is definitely a movie made for younger kids, it’s still a fun movie for adults to watch, and once Asher got tired of decorating, she crashed on the couch and finished watching the movie…leaving me with a giant mess . 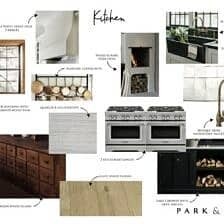 Anyway, when I was deciding on a recipe that would best inspire the big and little theme of the movie, I wanted to create something that would not only be great for holiday entertaining, but equally great for a simple family movie night. 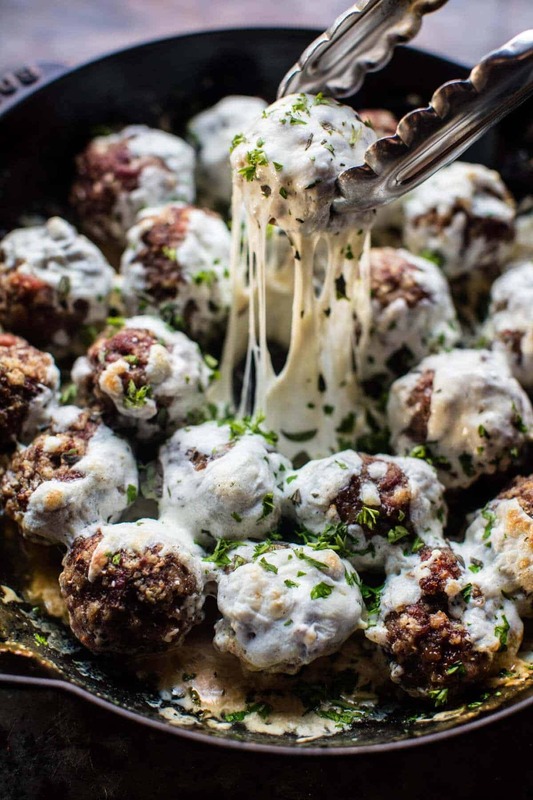 These meatballs could not be more perfect! 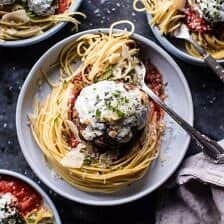 I like to bake my meatballs for easy cooking and then top them with plenty of fresh mozzarella and parmesan…then simply add sauce and pasta! Yes, please! So, do we have our dinner plans set? Movie watching and meatball eating? Cool, cool, me too! Preheat the oven to 450 degrees F. Grease a 9x13 inch baking dish with olive oil. Mix together the ground sirloin, bread crumbs, parmesan cheese, parsley, dried oregano, crushed red pepper, salt, pepper, olive oil and egg to a mixing bowl until just combined. Coat your hands with a bit of olive oil, and roll the meat into 2 tablespoon size balls (will make 10-12 meatballs). Place the meatballs in the prepared baking dish and place in the oven. Bake for 15 minutes or until the meatballs are crisp on the outside, but not yet cooked through on the inside. Add the mozzarella cheese and continue cooking another 15-20 minutes or until the meatballs are cooked through. To make a Giant meatball, form the meat mixture into and oval and place in the prepared baking dish. Transfer to the oven and bake for 35-45 minutes or until the meat is cooked through. During the last 10 minutes of cooking, add the cheese. 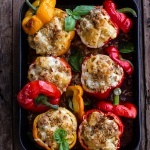 Serve with pasta and marinara. always up for giant meatballs! i have to admit, as soon as i saw that you were partnering with disney, i was thinking of “moana”, and i just couldn’t figure out how spaghetti and meatballs were “moana” related ? Haha no, not moana! But this movie is super cute! Thanks Heather! Expensive Mistakes and Cheap Thrills: I donâ€™t remember even a little tiff!Ruby:oh wow! seems like you guys are pretty well adjusted:) This little meme actually seems interesting….hmmmmmmmmTamara: I think its pretty cool too!Arkwife: I donâ€™t think any home should be without one! And youâ€™re so rightâ€¦Mr Coppens: you are so right dude!Jeanette: methinks!MeHereNow: I do hope youâ€™ll get a new one!Cormac Brown: mwaaaaaaaaaaaaaaaaaaaaaaaaaaahahahahahaaaaaaaaaaaaaaaaâ€¦Tay: harassedmomsramblings: hhmmmâ€¦ interesting. I am so glad you like this one, Sheila! And I hope you love the movie! (I am sure you will!!) Thank you!! this is incredibly cozy. I feel like every time I eat a bowl of this meal, I am blanketed by warmth and happiness. Yes it is such a great dish! Thank you Jessica!! 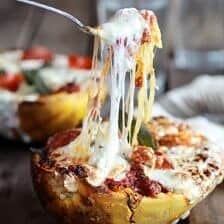 Oh I LOVE the idea of giant meatballs! And Asher is just too cute. More Asher hand pics please!!! Haha I will have to do more!! Thanks Sarah! 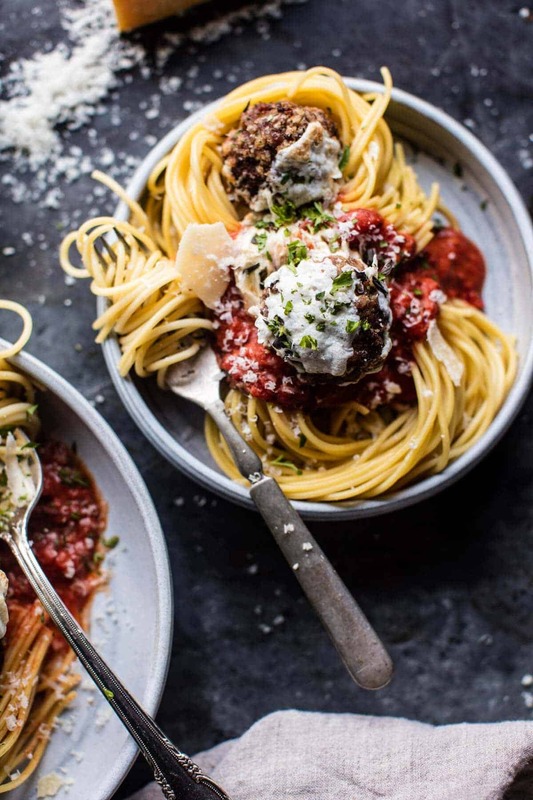 Hands down, spaghetti and meatballs is my husband Tom’s favorite meal of all time Tieghan! This looks so comforting and delicious! Then this is perfect for him! Thank you Mary Ann! meatballs but I’m sure it is good. Hey Mary, sorry I use a pinch which is about 1/2 teaspoon. Let me know if you have questions. Thank you! Oh yum, I love meatballs! This was such a fun movie! 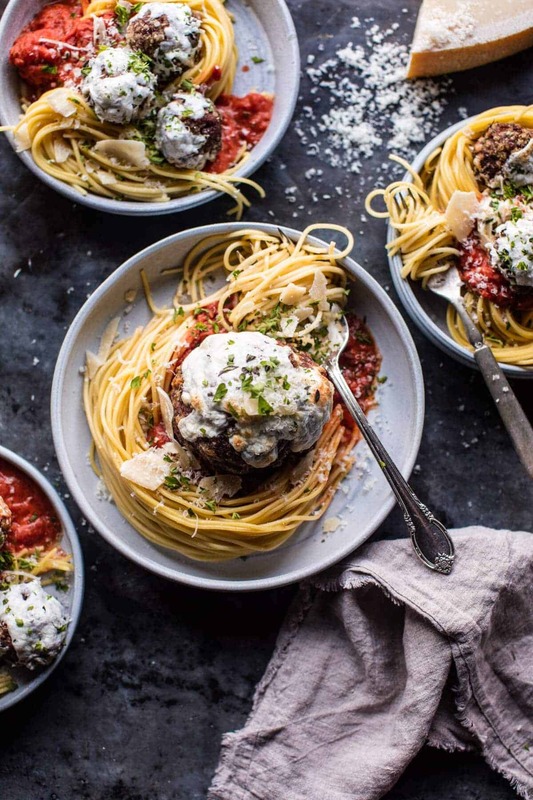 The dish is perfect – giant meatballs for the giant. LOVE! 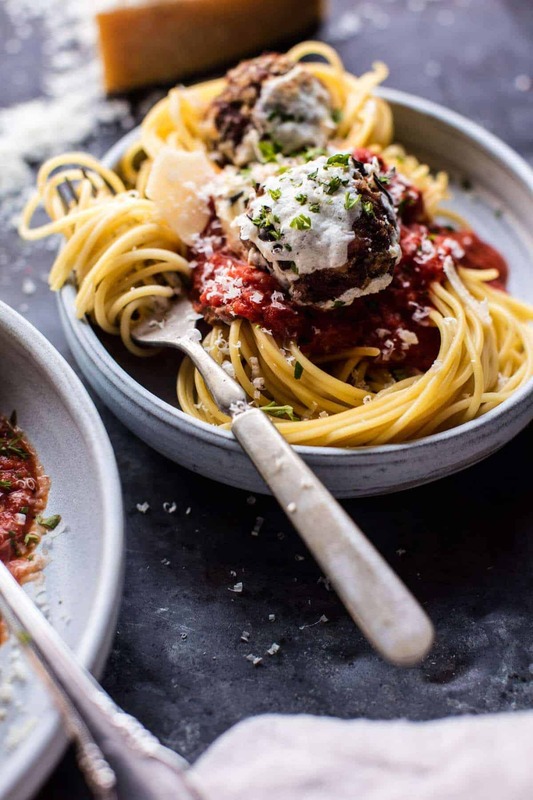 Who can resist a giant ball of spaghetti and meat balls? I cannot!! Me neither! Haha thank you Ruth! 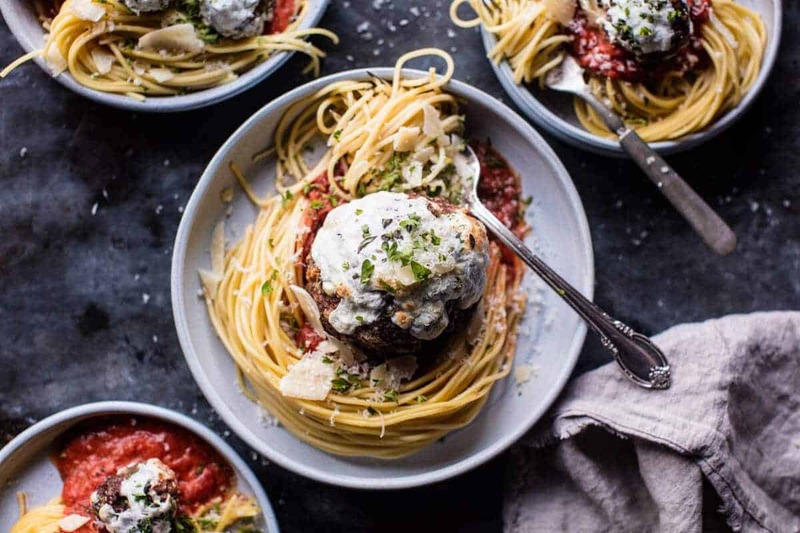 The best looking spaghetti and meatballs ever! Perfect! I hope you love it, thanks Jennifer! There’s nothing more comforting than a giant bowl of spaghetti and meatballs! 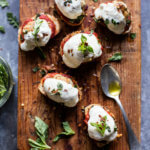 You need a tomato sauce recipe!! Now I have to have this soon. Awesome! I hope you love it! Thanks Nancy! Well perfect timing for a spaghetti and meatball recipe! I hope you enjoy this & the movie Kate! Thank you! Thank you Veronica!! Hope you love them!! Awh thanks so much Erin, hope you love them! Hi- When you cooked the meatballs did you cook them in the oven in the cast iron skillet? I cooked mine that way and it seemed to cook much faster and almost burned on bottom at 30 mins 🙁 glad I checked them then instead of at 40 mins!! great recipe though! served it over spaghetti squash. Cant wait to make it again but maybe ill try a pyrex dish instead. Due to it being sirloin meat there isn’t much fat so they seem to dry out quick if overcooked at all. 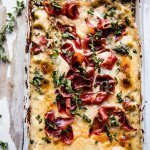 Thanks for all your amazing inspirations for yummy recipes. Meatballs turned out great on top of homemade spinach noodles and a chunky tomato sauce. Sounds delish! So glad it worked out!! 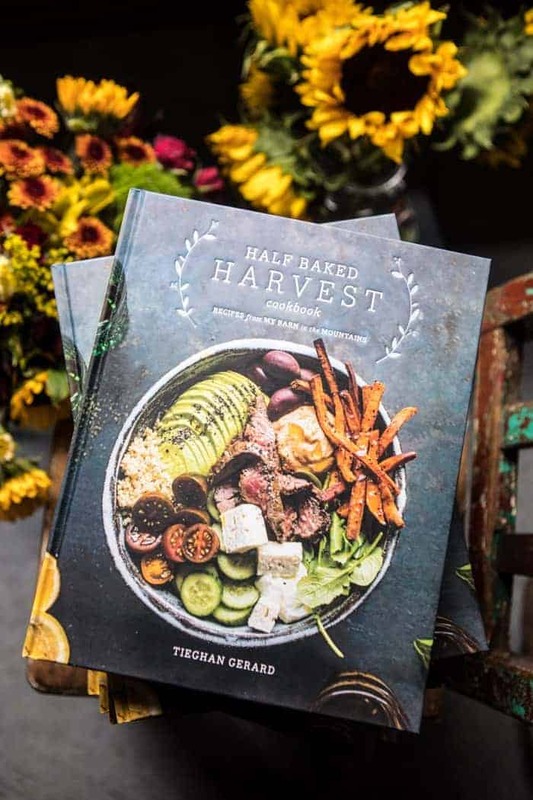 Girl, I just absolutely gush over your food photography and recipes. 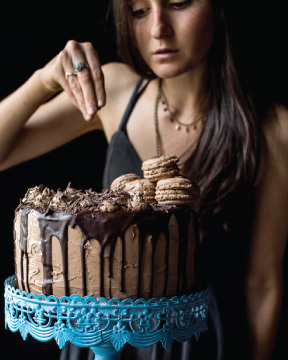 This recipe looks fan-freaking-tastic… you’re amazing! Awh thank you so so much Monica (: Means so much! 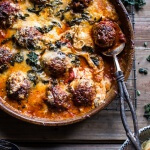 Great recipe, great presentation with the giant meatballs. Family loved. I am so happy you all enjoyed this recipe!! Thank you Karen! CAN YOUR ORGANIZATION RECOMMEND A TASTY WINE FOR BEGINNERS ? Hi Tom! My favorites with this dish are Cabernet Sauvignon or Merlot. These are both reds and the Merlot will be a little bit sweeter! I hope you love this! It was good but a little dry.. And the flavor was light, so I added more spices.